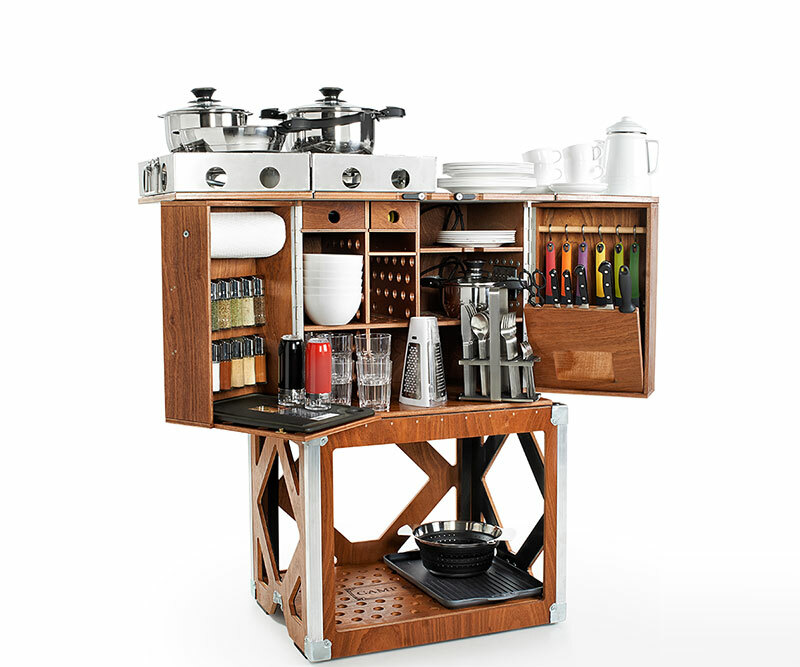 There is camping gear and there is camping gear; and if you want to see what a high-end camping kitchen looks like, take a look at the Camp Champ. 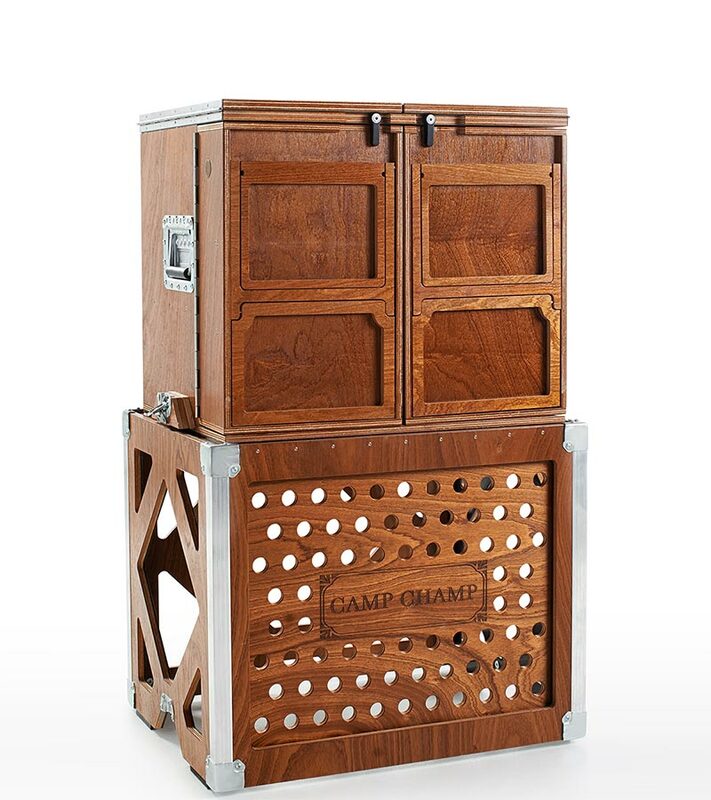 Designed by Austrian based Franz Moser, the Camp Champ is a fully equipped kitchen that has everything you need to cook for and entertain up to 6 people. Each detail of the kitchen was carefully planned- every plate, stove and pan has a designated space so that it fits into the compact box and when you travel there is no rattling. In short, a masterpiece. Assembling the kitchen is easy- you remove the protective case and place it on the ground and above it position the internal kitchenette. The elevation provided by the casing gives you a comfortable height to work at and storage space below. All of the cooking equipment comes from Germany and Switzerland and is top of the line. This means that when you are preparing your meal, or sit down to enjoy it, the experience is bound to feel more luxurious than eating on regular camping plates. The kitchen is packed with accessories including a four burner gas stove, plates, knife block, pots and pans, spice rack, coffee percolator, grater and strainer. It also has lots of counter space (which is laminated) and garbage bags that fit onto the doors. 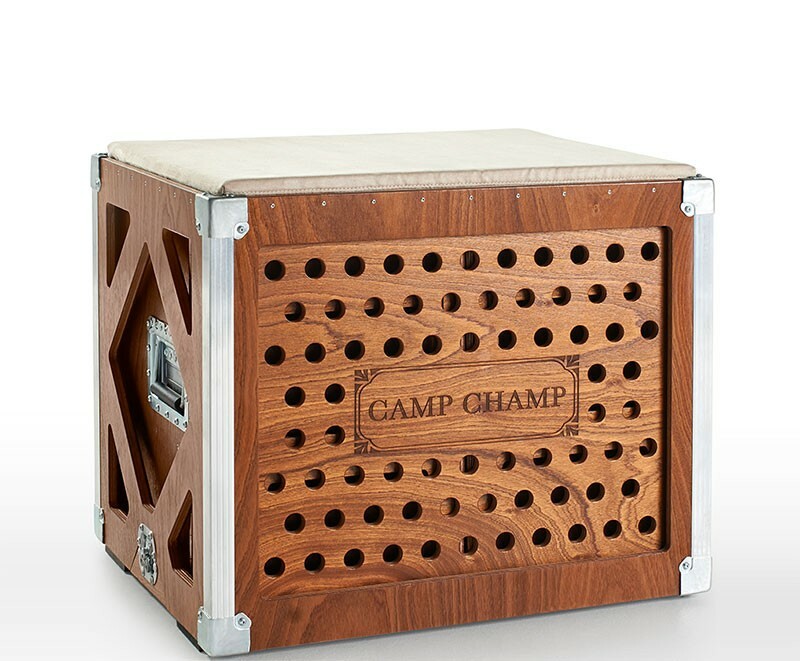 The Camp Champ is made from boatbuilding-grade plywood with 1.5 mm veneers made form sapele wood. It is especially durable and has a weatherproof finish, a sturdy POM thermoplastic base with galvanized steel corner reinforcements, aluminum edge protectors and steel handles. When closed the Camp Champ measures 27 in x 21 x 22 in (68 x 54 x 57 cm) and weighs 154 lb (70 kg).